We are nearly at the end of the Birthday week and I hope you joined all the giveaway's that you loved so far! Today's giveaway is another favourite item of mine! You can never have to many candles at home, and I am always on the look for beautiful candleholders. 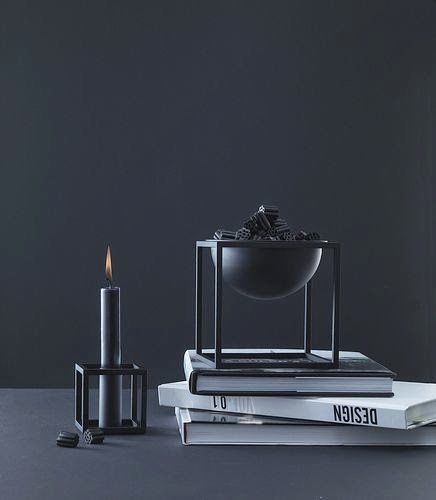 The ByLassen Kubus Candle has been a favourite of mine for years. With a sharp sense of contemporary Functionalist style, Mogens Lassen designed the iconic Kubus candleholder in 1962, a piece once reserved solely for family and close architect colleagues. The Kubus is still crafted in Denmark, and among architects and design connoisseurs it has achieved the status of a modern international design icon. 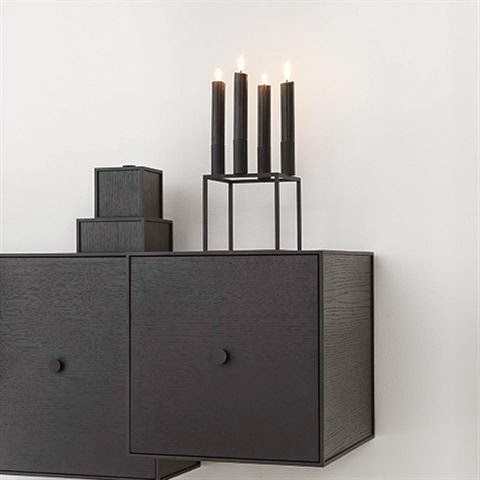 I have a small collection of black iron cast candleholders and am the happy owner of the small kubus 1 and the Kubus 4 This is definitely a price I love! Today we are giving away a Kubus 4 to one Vosgesparis reader. Simply leave a comment in this post and we will announce a winner next week.